The universal piano sustain pedal by Gear4music is an ideal addition to any keyboard or piano. Featuring a heavy duty piano style pedal design that includes an authentic weighted resistance, this pedal is a great device for players switching between acoustic and electric pianos. A polarity switch means that this pedal is suitable for all kinds of electronic keyboards and pianos with a 1/4" . The non-slip rubber bottom on the pedal means it doesn't slide during performances. The Gear4music piano sustain pedal features a very handy polarity switch button, which controls whether the piano sustains when the pedal is pushed down or whether it is released. As different keyboard brands use different polarities, this versatile pedal is suitable for keyboard and pianos that have a 1/4" jack input. 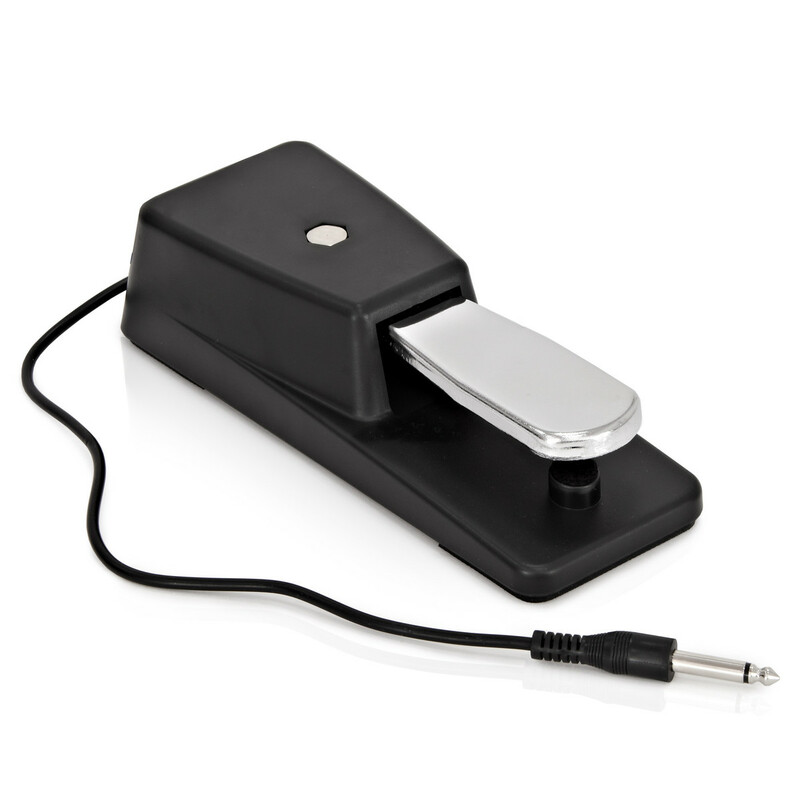 This sustain pedal has been built with the piano player in mind. The piano style chromed pedal has the resistance and feel that is very similar to that created by an acoustic instrument. This makes it ideal for players that switch between acoustic and electric pianos on a regular basis. The bottom of the pedal has a rubber layer which prevents the pedal from sliding during performances.